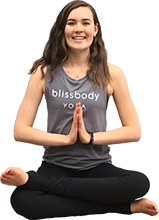 Bliss Body Yoga’s teachers are compassionate, knowledgeable, caring and committed to their own personal growth as teachers and the growth of their students. All instructors are certified with either 200 or 500 hours of teacher training and are Registered Yoga Teachers (RYTs) with Yoga Alliance. Colby is the founder of Bliss Body Yoga. Her intention is to provide a safe, nurturing, fun and relaxing space for students to practice yoga. Colby was first turned on to yoga in 2003 after years of rigorous training in classical ballet. Yoga proved to be a natural transition from dance, but offered stress relief and a powerful integration of body and mind that she had never experienced before. Colby’s passion for movement inspires her classes that incorporate fluid and creative sequencing. Her classes are playful and challenging, yet students will leave feeling pampered and restored. She teaches Gentle Flow, Flow, Yin, Restorative and Prenatal yoga classes. Colby completed her 200-hour certification in 2009 with Don and Amba Stapleton at the Nosara Yoga Institute in Costa Rica. In July 2012, she completed her 500-hour advanced training with Tranquil Space Yoga in Washington, D.C. She has received additional training in Yin, Restorative & Prenatal Yoga. After discovering first-hand how yoga can transform by reducing anxiety and stress, give clarity of mind, and promote healthful living, Kristen is inspired to bring the joy of yoga to others. She dove in head-first into Blue Lotus’ 285 hour teacher training program (earning her RYT 200 certification) and has delved into teaching flow yoga. Her flow classes guide students’ movement with each breath, bringing focus within, quieting the mind, and strengthening body and spirit. She enjoys teaching beginners and experienced yogis alike; offering modifications so that all levels can participate. Yoga does not require flexibility, just a willingness to learn and coming to the mat as you are. Autumn was first introduced to yoga through her dance training, while she was working on her MFA in dance from the University of Maryland. She maintained a casual practice for a few years after graduation before deciding to learn all she could about yoga (completing her 200-hr certification with Stephanie Keach of Asheville Yoga Center in 2011). After training, Autumn jumped right into teaching and has since found yoga to be so much more than a workout; it is a way of life. In Autumn’s Flow Yoga or Power Flow classes you can expect to work up a sweat to upbeat music and leave feeling challenged with a transformed outlook on the world. In addition to teaching at Bliss Body Yoga, Autumn is on faculty at North Carolina State University (teaching dance, yoga, and gymnastics), and she directs the Raleigh-based multimedia modern dance group Code f.a.d. Company. Autumn is also certified as an ACE Group Fitness Instructor, Zumba Instructor, and PaddleYoga Teacher, and she is currently pursuing her 500-hour Yoga Teacher Certification. Zach started teaching in January 2011 as a way to learn more about Yoga and also as an excuse to spend more time in the studio. Since then he has taught at many different spaces from outdoor events, gyms, yoga studios, and corporate offices. His training was in Anusara which has a focus on alignment and working the poses in a therapeutic way, in every class he offers cues in the poses to help bring students out of pain and show them how good their bodies are meant to feel. The idea that we are made to feel good, mentally, emotionally, and physically, is a basic teaching that Zach brings to all of his classes. 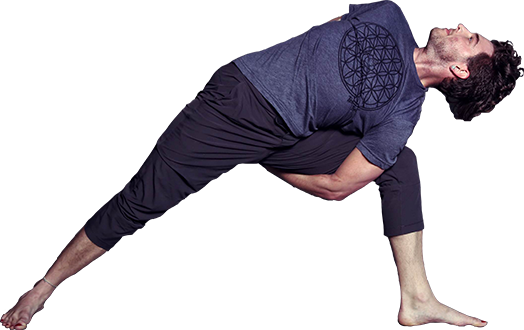 Using years of study in anatomy, kinesiology, Tantra, and the lessons that come from reflecting on life Zach has the ability to guide his students through a class that is both rigorous and supportive, hard and soft, always seeking to find the balance in the middle. His classes are open to all who come with an open mind and heart and a desire to know themselves deeper. Rachel’s passion for yoga was fueled by different schools all over the world. Most recently, she returned from Koh Samui, Thailand where she completed a 500-hour Ashtanga-based teacher training. This incredible and intense schooling increased her worth as a teacher by broadening her knowledge base and stabilizing her personal practice. Rachel also received a 200-hour teacher training at New York City’s Prana Flow infused Sonic Yoga. In addition she earned a Kid’s Yoga Teacher certification from New York’s big-hearted, industry leading, Karma Kid’s Yoga. Lastly, she received a Mom and Baby Teacher certification from the experienced Joythi Larson in New York City. Rachel loves the transformative power of yoga on her mind, body, and spirit. She believes the practice will allow you to transcend to a level of higher awareness giving birth to a healthier, happier, and truly free and loving life. Tina has always been a teacher at heart. She began 13 years ago teaching preschool in a tiny school in Vienna, VA.
Tina then moved to Raleigh, had two children who became her greatest teachers, and that is when she found yoga. She received her yoga teacher training from Blue Lotus in 2013, her Little Flowers YTT in 2015, and her mindful schools training in 2016. She has been teaching kids yoga ever since and recently began her journey teaching mommy and me yoga. She is forever grateful for this space to connect, learn and grow together as moms. Barbara began practicing yoga in 2001, after many years of commitment to exercise as a way of maintaining physical and emotional well-being. While primarily seeking to increase her flexibility and spinal health, she became passionate about yoga when she discovered its deeper benefits – reducing stress, expanding mental flexibility and cultivating resilience in the face of life’s challenges. Barbara completed the 285-hour and 300-hour teacher training at Blue Lotus Yoga and Movement Arts in Raleigh. She has also completed Level 1 of Judith Lasater’s Restorative Yoga Relax and Renew ® training program. As a clinical psychologist with over 25 years of experience, Barbara is particularly drawn to sharing the ways yoga enhances emotional health. In her Restorative class you will find an opportunity to unwind physically and mentally, and discover the healing qualities of a supportive yoga practice. 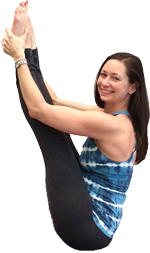 Wendy has been guiding students in yoga since receiving her RYT 200 certification from Raleigh NC Yoga in 2014. With an extensive history in leading fitness classes, both in Australia and the USA, Wendy was drawn to yoga as an accompaniment to her active lifestyle. However, the benefits of yoga became so profound that she knew she needed to share this insight with others. Wendy’s goal is to encourage students to understand and appreciate how wonderful their bodies are and the joy and benefits of nurturing both their physical and emotional health. With the greatest respect for breath and the synchronization of movement to it, her passion lies in leading gentle flow, yin and restorative based yoga classes that encourage self-awareness and provide a balance between busy, active lifestyles and the need to restore equanimity. 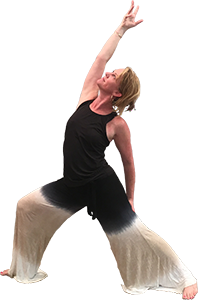 Wendy has been guiding students in yoga since receiving her RYT 200 certification from Raleigh NC Yoga in 2014. With an extensive history in leading fitness classes, both in Australia and the USA, Wendy was drawn to yoga as an accompaniment to her active lifestyle. Rochelle began her yoga journey in the late 1990s as a means of exercise. She quickly learned yoga provides much more than stretching and strengthening, and continued to practice for grounding, balancing, and stress relief. Yoga is now an integral part of her life, daily routine, and spiritual practice. Rochelle is a speech and language pathologist working with children with disabilities, and a life coach working with adults in transition. Yoga informs her work with these groups, as she uses yogic practices for calming and focusing, and for raising core energy levels. She is passionate about energy work, and has training in Reiki and Theta Healing. She enjoys bringing energy movement and awareness into her classes, and sharing her love of yoga and its many benefits with others. She completed Bliss Body Yoga’s 200 hour teacher training, and is thrilled to be teaching at the studio. Rochelle began her yoga journey in the late 1990s as a means of exercise. She quickly learned yoga provides much more than stretching and strengthening, and continued to practice for grounding, balancing, and stress relief. Meghan began a steady and dedicated yoga practice in 2008, drawn to the mat in a search for stronger self-awareness. In 2011, she completed a 100-hour training program with Cindy Brewer, in 2012 she completed a 220-hour training with Kristen Cooper, and is currently enrolled in a 500-hour training with the Carolina Yoga Company. Yoga has become integral to Meghan’s life for self-acceptance and improvement, and to connect with people in genuine and compassionate ways. From teaching in her local community to volunteering in orphanages in India, her intention is always to promote loving kindness and self-love in her students and in the people around her. In addition to teaching yoga, she is also training to become a massage therapist to continue to assist others in deepening their well-being. Meghan is thrilled to be a part of the beautiful community at Bliss Body Yoga. Rachel Leblang is a Michigan native and graduated from Western Michigan University with a Bachelor’s Degree in Japanese Language Studies. She was first introduced to yoga on a bet with her friend. Because she lost, she had to attend a 5:30 a.m. heated power vinyasa class. During that class, she fell in love with the asanas and the physical side of yoga. Several years later, while living in Japan, she had the opportunity to study the philosophical and historical aspects of yoga as well. She completed her 200 hour yoga teacher training in Hawaii with the Yogacara Teacher Training program. Rachel’s classes feature slow, intentional movement with an emphasis on breath and body awareness. Rachel Leblang is a Michigan native and graduated from Western Michigan University with a Bachelor’s Degree in Japanese Language Studies. 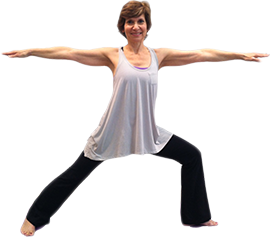 Mary strives to teach her yoga classes engaging a balance between physical challenge and emotional freedom. Her teaching is very precise and she draws upon extensive training in yoga anatomy and a background in social work. Mary studies with Tias and Surya Little of Prajna Yoga in Santa Fe, New Mexico. Drawing from Buddhist tradition, Prajna incorporates yogic anatomy, chanting, meditation, dharma talks, and asana into the teachings. She is very excited and honored to not only teach students, but also to guide teachers as well. This journey brings Mary so much each and every day and she feels blessed to share this ancient tradition. Kelly began practicing yoga over 10 years ago, but it became a staple in her life in 2014. Beginning with Iyengar yoga, she found that the alignment based practice helped to increase her body awareness as well as decrease aches and pains she was experiencing. In 2015 Kelly found vinyasa yoga, and the meditative movement not only continued to help with body awareness, but also created a peaceful mind. She fell in love with the calmness it created both on and off the mat in her life. She completed the Bliss Body Yoga 200-hour teacher training and currently teaches pre-natal, yin, beginner and vinyasa classes. Her passion lies with helping individuals feel their bodies both inside and out and explore the connection between yoga on the mat and in life. Kelly began practicing yoga over 10 years ago, but it became a staple in her life in 2014. From a young age, Madeline has always been drawn to the practice of yoga. As a way to turn inward, she enjoys the balance it provides as a young professional in today’s world. 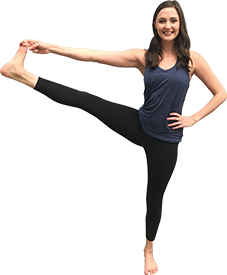 With a passion for health and wellness, Madeline strives to teach her yoga classes in a way that allows students to find the balance they need – whether that be from strength poses, quieting the mind in restorative or simply focusing on breath. Madeline completed her 200-hour yoga teacher training at Bliss Body Yoga and truly believes in choosing to live joyfully. She has also received training in Prenatal & Postnatal Yoga from Whole Momma Yoga. Madeline hopes students leave her class feeling inspired with a heightened connection to mind, body and spirit. From a young age, Madeline has always been drawn to the practice of yoga. As a way to turn inward, she enjoys the balance it provides as a young professional in today’s world. Jen grew up as a dancer and swimmer and was always active, spending lots of time outdoors. Jen became a mom in 2003, the same year her mother was diagnosed with stage 3-C ovarian cancer. She had been taking yoga classes here and there, but found refuge and peace in the practice as she juggled taking care of her sick mother and nursing and caring for her newborn daughter. By 2005, Jen was practicing with her second daughter in her belly and was fully in love with yoga. When her daughters Sofia and Eliana were 3 and 5 years old, she began looking for kids yoga classes for them and came up empty. So she decided to become a teacher herself. She is a registered children’s yoga teacher (RCYT) and completed trainings with Karma Kids in NYC, YogaKids and Mini Yogis. In 2008, she became a Registered Yoga Teacher in the Prana Flow Yoga style studying with Carson Efird. In 2015, Jen completed her 300 hour Yoga Teacher Training with Shiva Rea. Ellie first found the joy of movement as a four year old in ballet class. She found yoga and tai chi in high school and mindfulness-based stress reduction as a grown-up and all of these practices have provided her important tools for riding the waves of life. Ellie has been teaching since 2002. Her early yoga experiences and initial 200-hour teacher training were influenced by Kripalu and Integral styles, and her classes are laid-back, breath-focused, and mindful, with at least a little dose of humor. Yoga and meditation were important in managing her pregnancy and labor, which led her to begin training in and teaching prenatal yoga in 2015. She completed a 16-hour prenatal yoga teacher training at Asheville Yoga Center in 2015 and an 80-hour training at Blue Point Yoga Yoga in Durham in 2016. 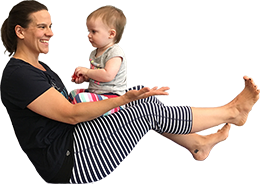 She looks forward to sharing movement and mindfulness practices to help mothers find comfort and connection during the amazing transition to parenthood. Ellie first found the joy of movement as a four year old in ballet class. She found yoga and tai chi in high school and mindfulness-based stress reduction as a grown-up and all of these practices have provided her important tools for riding the waves of life. Jen began practicing yoga over a decade ago and was hooked from her very first vinyasa class. The desire to deepen her practice and understanding of yoga led her to enroll in the teacher training program at Blue Lotus Yoga. Jen completed the 200 hour training in 2009, Therapeutic Yoga Training in 2013 and the 300 hour advanced training in 2015. 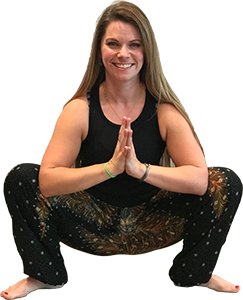 Since becoming a certified instructor, Jen has been passing on the blessing of vinyasa, gentle and restorative yoga to adults and children in the Raleigh area. Jen also brings her yoga knowledge along with her understanding of art to children by creating and teaching yoga, meditation and art journaling classes, series and workshops for kids of all ages. Sara attended her first yoga class in 2011 and fell in love with the practice. 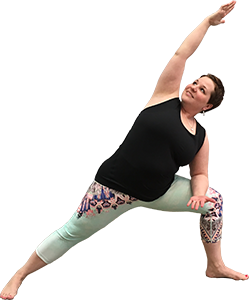 After she began practicing more regularly at Bliss Body Yoga in 2014, she desired to deepen her own practice and learn more about all the aspects of Yoga (not just the physical postures). She graduated from Bliss Body’s 200-hour teacher training in 2017. While she loves all types of yoga classes, she is most drawn to restorative yoga as a way to manage stress by calming the body and mind. She has seen a positive change in her own life since practicing yoga and restorative regularly. Sara is honored to be a part of the Bliss Body community and to be a part of guiding students in their yoga journey. Sara attended her first yoga class in 2011 and fell in love with the practice. Megan was first introduced to yoga by her grandmother when she was 6 years old, but didn’t become a regular practitioner until 2015. She came to yoga again at a difficult and transitional time in her life, finding that the mind-body connection and present moment awareness were the tools she’d been searching for. Since then, Megan has fallen in love with the practice and enjoys exploring how the different types of yoga serve us in different ways. Megan completed Bliss Body Yoga’s 200 Hour Teacher Training and is excited to have found a place that she can truly call home.